Have this. Design by Jim Ivy. 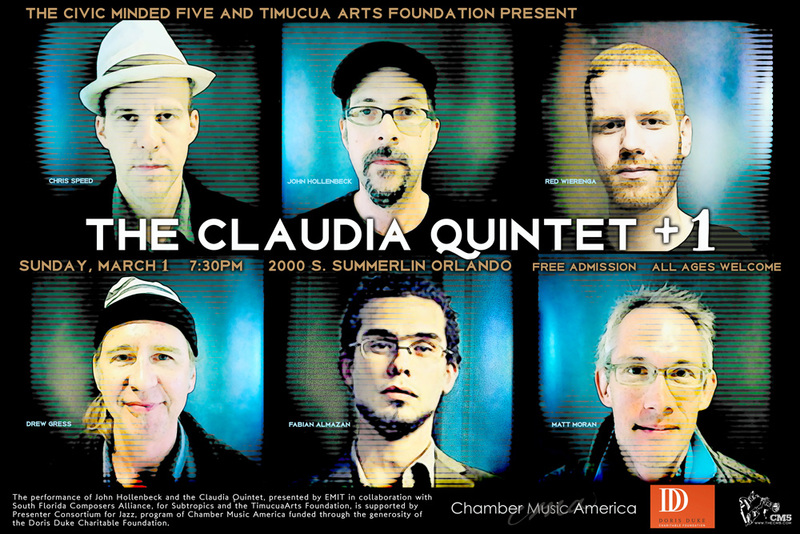 Tags: Chris Speed, Civic Minded 5, Claudia Quintet, cm5, John Hollenbeck, Timucua, Timucua white house. Bookmark the permalink.